Part Number : Compatible with any 5050 10mm LED RGB strip lights. 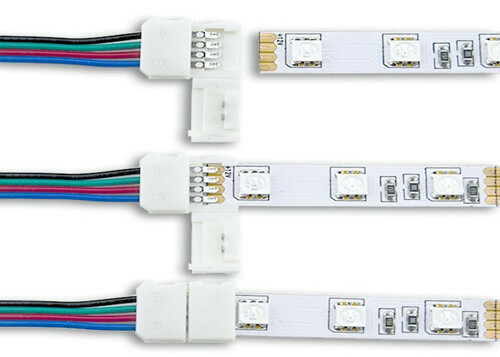 Our 10mm RGB multicolor (5050) LED light strip connectors are a simple, frustration-free solution for all of our LED light strip connection and extension needs. These solderless connectors install with a simple clasp attachment, meaning that you can achieve a safe and secure connection without any tools. Suitable for all LED light strip applications including kitchens, cabinets, bedrooms, shelving, and displays. These connectors come in a variety of lengths and styles to meet your needs. Ensure your section of LED light strip has four contacts (+, R, G and B) and the contacts are clean. Open the white clasp of the connector. 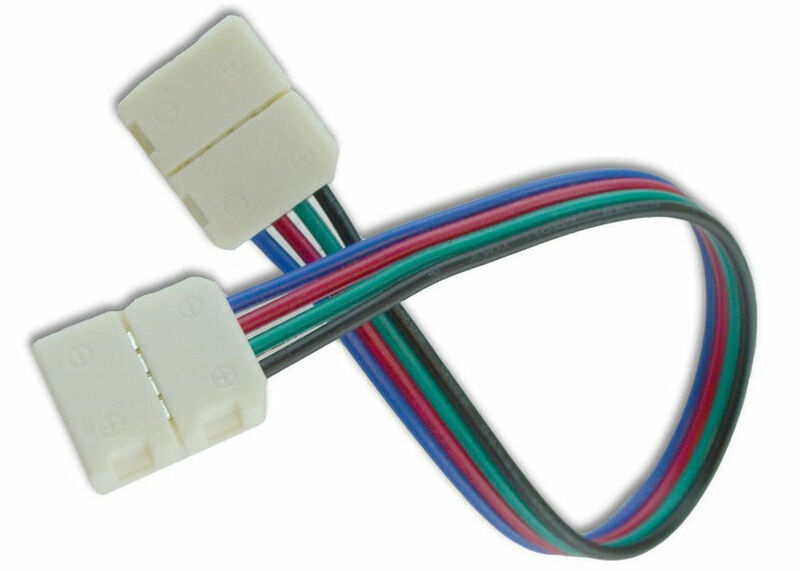 Our connectors and extensions are fully bendable and are perfect for extending a run of LED strip across a gap, around an obstacle, or for making a bend. Open the wire clip. It should snap open with just a little effort. Insert your 8mm LED light strip inside the clip underneath the two contact prongs, making sure the 12V side of the strip aligns with the + symbol. Snap the wire clip shut. Gently pull on the wire to confirm you've secured the strip inside the connector.